Note: Do NOT enter Street Direction (E,W,N,S) or Street Suffix (St., Ave., Blvd., etc.). A list of potential matches will be displayed. 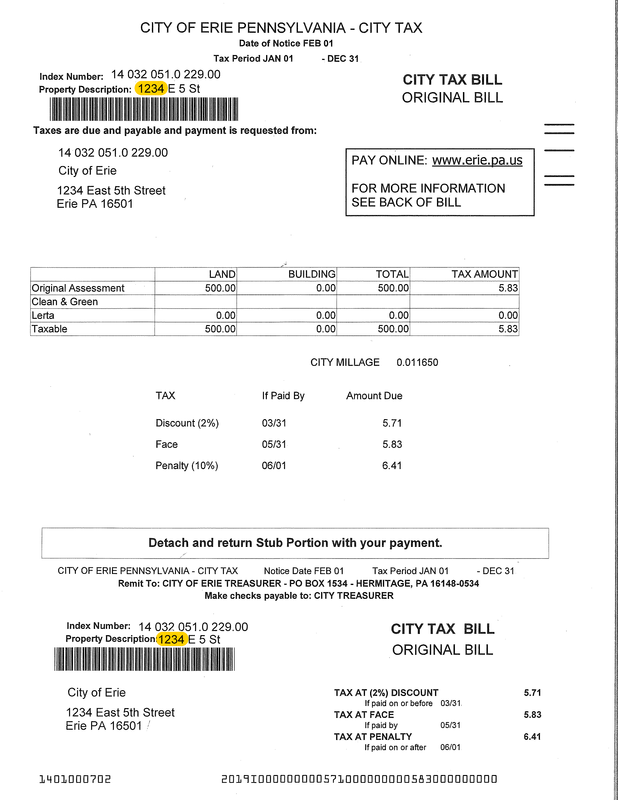 Enter Address Number and/or Street Name exactly as it appears on bill. We collect CURRENT YEAR TAXES ONLY. 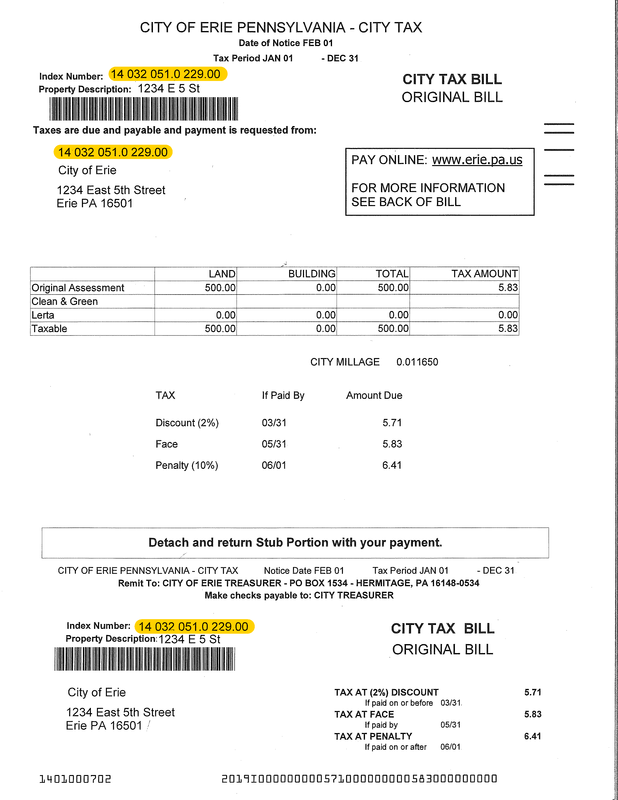 Prior year taxes are to be paid at the Erie County Court House - Tax Claim Office. When entering your Index Number, do not include the spaces or other characters (such as periods, etc), just the 14 digits.